Dr. Abiodun received his medical degree from the College of Medicine at the University of Lagos, Nigeria and completed his residency in Internal Medicine and Fellowship in Gastroenterology and Hepatology at Henry Ford Hospital in Detroit, Michigan. He practiced at Marshfield Clinic, Eau Claire Wisconsin for 5 years before moving to establish a private gastroenterology practice in Arlington Texas in 2009. He was joined by Dr. Osowo in the summer of 2011. He is a member of American Gastroenterological Association (AGA), American Society for Gastrointestinal Endoscopy (ASGE), American College of Gastroenterology (ACG), Texas Medical Association (TMA) and Tarrant County Medical Society (TCMS). 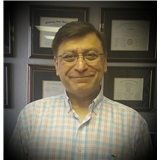 He is board certified in Internal Medicine and Gastroenterology. Dr. Abiodun provides consultation in the following; disorders of the esophagus, stomach, small and large intestine. As well as, disorders of the liver, biliary tracts and pancreas. Dr. Abiodun also offers expertise in diagnostic and therapeutic procedures including: colonoscopy, upper gastrointestinal endoscopy, percutaneous gastrostomy, ERCP, endoscopic ultrasound, wireless capsule small bowel endoscopy, ablation of Barrett’s Esophagus. Receptionist was efficient and friendly. Nurse was thorough and helpful. Dr Abiodun was professional and presented a realistic treatment plan. I was highly satisfied with the level of care I received from Dr Abiodun! He was very thorough and explained everything in a way that I could get a good understanding of what was going on. The Doctor was great as always ! I was really pleased with my appointment . Not only was he prompt, but he took his time and explained everything thoroughly. He asked questions and also answered all of my questions as well. This appointment went exactly as I had expected. I left informed and prepped. Very professional and caring, highly recommended. Wait time was a bit long, but it was worth it as thorough as they are. The wait time was a bit long but his bedside manner was great and the staff was very friendly. Doctor very professional. Staff very friendly and helpful. 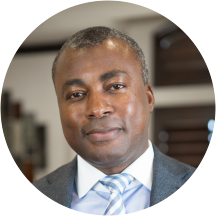 Dr Abiodun is very professional and takes the time to listen to your concerns and he provides answers to your questions. He's also very nice and compassionate. His nurse Courtney is also very nice. I highly recommend him. Very friendly nurse. Dr. Abiodun was friendly and took his time with me. Pleasant visit. I really liked the doctor. Very insightful, caring, professional and concerned. He is very warm & personable! He & his staff made me feel totally at ease & welcomed in their office! Great listening skills & bed side manners. Took his time, wanted to know my whole history and was very patient. I didn't feel rushed at all and felt like he wanted to get to the bottom of my issue. He is wonderful! My wife and son-in-law have gone to him and are very pleased! He helped me with a very delicate situation that cleared up quickly. I am 82 and it was affecting every aspect of my daily life. Great job doc! Definitely a great experience! I loved him and the staff! So happy I found him. Great, Excellent. Took his time to explain things. Will highly recommend. Dr Abiodun is an excellent dr! He doesn't make you feel rushed which is probably the reason for the long wait but definitely worth it. He actually listens to you which is rare these days! I would highly recommend him to anyone! Dr. Olufemi Abiodun, MD has no appointments on Zocdoc right now.